Hi, you've found yourself on Super Adventures, where I play games for an hour or two to figure out what they are and show off some screenshots. 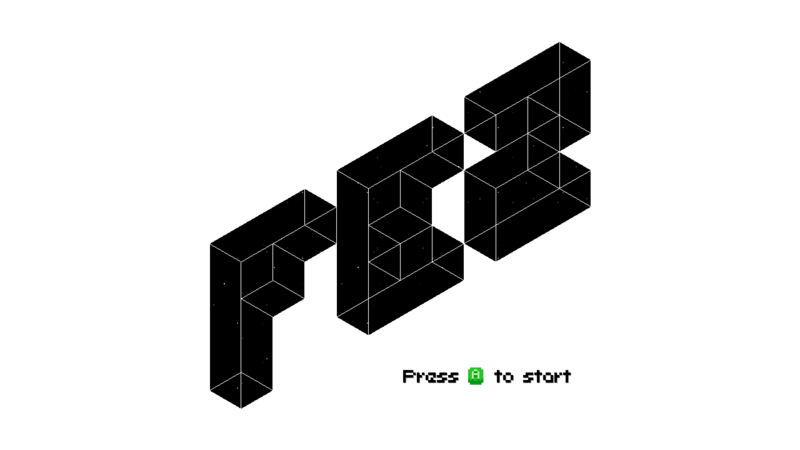 I'm bored of 'E' games now, they've gotten old, so I'm moving up to exploit the untapped potential of the letter 'F', starting with puzzle-platformer Fez. I realise that everyone else on Earth already knows everything about the game already, but it's all completely new to me so I'm playing it anyway. The game debuted on the Xbox 360 in 2012 and for a while seemed happy enough to just stay there and shun the outside world, though it did eventually make its way over to PCs and PlayStations over the next couple of years. I'll be playing it on Windows as that's the version I've got, but I don't expect there'll be any noticeable differences between the systems. CREATE YOUR OWN GENETIC WARRIORS! I lent this from a friend a million years ago. Never played it. Then I bought it from GOG for next to nothing, promising that I would find out what the game was all about. Never did. Have you played it? Didn't think so! Somehow, the game simply deflects attention. If I don't play it now, no-one might ever have played it! I suppose I should play it. If you like what you see, you can click the pictures to view them a little bigger! 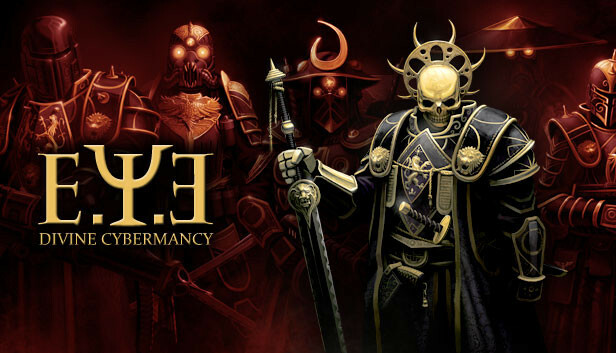 Super Adventures' ambitious "Year of Games That Begin With a Letter" gimmick continues in an alphabetical fashion with another requested game for you: E.Y.E: Divine Cybermancy. Uh, sorry I mean E.Ψ.Ǝ: Divine Cybermancy. Always nice to have a legitimate excuse to use an italic letter psi. I've been curious about this one for a while, because I've seen the name mentioned a few times but I've never really formed a clear impression of what kind of game it actually is. Though the ambient knowledge I've absorbed through the internet is whispering to me that it's a little like an ambitious indie Deus Ex clone, constructed by a tiny development team and held together with sheer willpower. 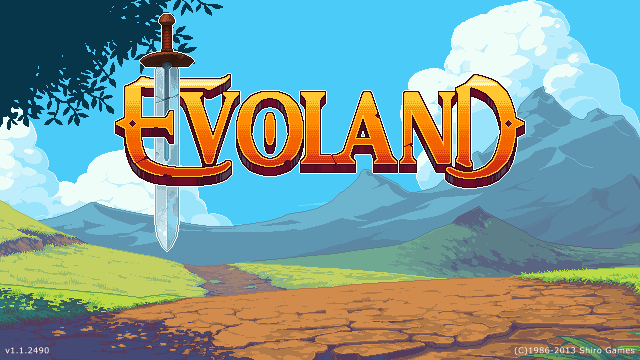 Today on Super Adventures I'm taking a look at indie RPG Evoland! "Evoland is a game and a story. The story of action adventure gaming as seen in the Zelda or Final Fantasy series, starting with the early age of action RPGs, when a few pixels were enough to make us dream for hours. New players will discover a bit of video game history and a very fun gameplay, and veterans will also enjoy a host of references to legendary titles scattered along the game." It's an action RPG about the history of action RPGs, though judging by that bright pixelly title screen and the '1986-2013' copyright, I'm guessing it's going to be leaning towards the Japanese console RPG side of the genre. The Evoland I'm playing is actually based on a browser game of the same name created for the 24th Ludum Dare contest in just 30 hours. That might not sound so encouraging, but Evoland Classic managed to beat 1400 other games in the end to take first place, so I'm taking it as a good sign. I mean I'm not getting my hopes too high, I had to give the game administrator privileges before it'd even recognise my controller, but c'mon this could be cool. 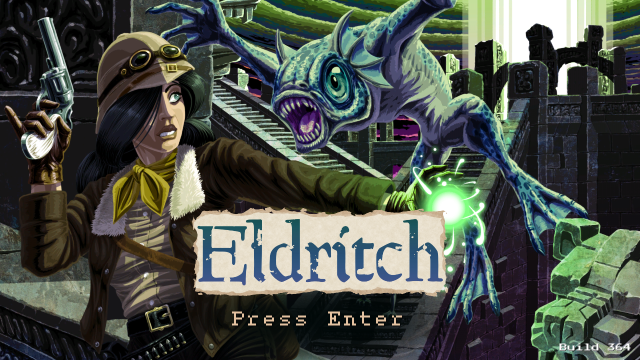 Today on Super Adventures I'm taking a look at another request: indie first person... video game Eldritch. The word 'eldritch' is closely associated with H.P. Lovecraft's horror stories and is defined as meaning "unearthly, alien, supernatural, weird, spooky or eerie". I'm just trying to pad out this introduction a bit to be honest, because I've haven't even got a clue what this game is about. That suits me just fine though really, as it's been weeks since I've been able to come at a game armed only with absolute ignorance and be able to share my true first impressions of it afterwards. Like always I'll give it an hour or two to impress me, then document my findings in the form of screenshots with words underneath them. Hi, I'm Ray Hardgrit, and I'm currently making it my mission in life to play games beginning with the letter E for an hour or two each to figure out what they are and if they're any good. 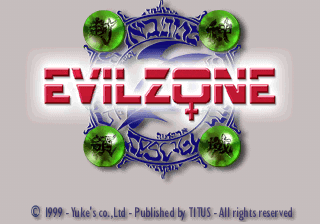 Today I'm playing late 90s Japanese PlayStation game Eretzvaju, known in English as Evil Z♀ne (who knew there was an italic version of the Venus symbol?) It's just plain Evil Zone in the US though, and as far as I can tell the only reason it's been given a female gender symbol for the European title is because the main villain is a woman. The game is by Japanese developer Yuke's Media Creations, known for games like Power Move Pro Wrestling, WWF SmackDown!, WWF Royal Rumble, WWE WrestleMania, WWE Day of Reckoning, Rumble Roses, Wrestle Kingdom, WWE SmackDown! vs. Raw, and Finding Nemo, so you probably won't be too shocked when I reveal that this is... a fighting game. 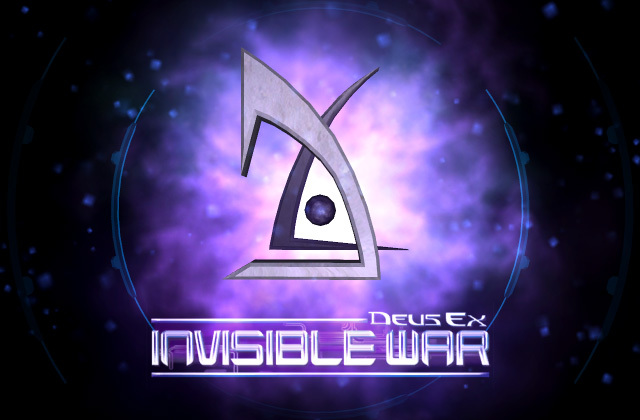 Today it is my great honour to present to you a selection of words and images chronicling my first experience with the game Deus Ex: Invisible War! Except it's not really my first experience as I finished the game years ago on the Xbox. I've got a terrible memory though so it'll be close enough. I do remember that I didn't much like the game, at least not compared to the original, and I get the impression a lot of people share that feeling. 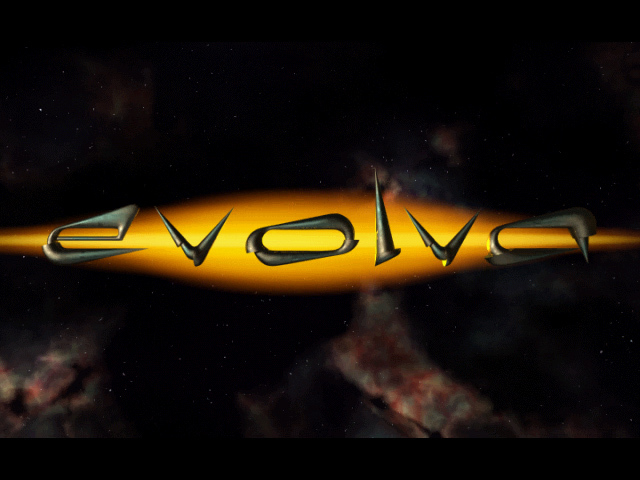 Nice to see that the proper spinning 3D logo is back again though. It was replaced for the PS2 port of Deus Ex 1 with an inferior variation for no good reason I can think of, but all is well again. Today I'm having a look at Driver: San Francisco by Reflections, makers of Shadow of the Beast, Destruction Derby, Stuntman and a whole lot of Driver games. To be honest I've never been much of a fan of the Driver series; I found the first game to be pretty painful to play, Driver 2: Are You Sure You Want to Restart is astoundingly unforgiving, the third game seems like it's a broken mess and Parallel Lines... I can't even remember why I don't like that, but I'm sure there must be a good reason. Still it introduced me to the track 'Suffragette City' by David Bowie, so it's not all bad. 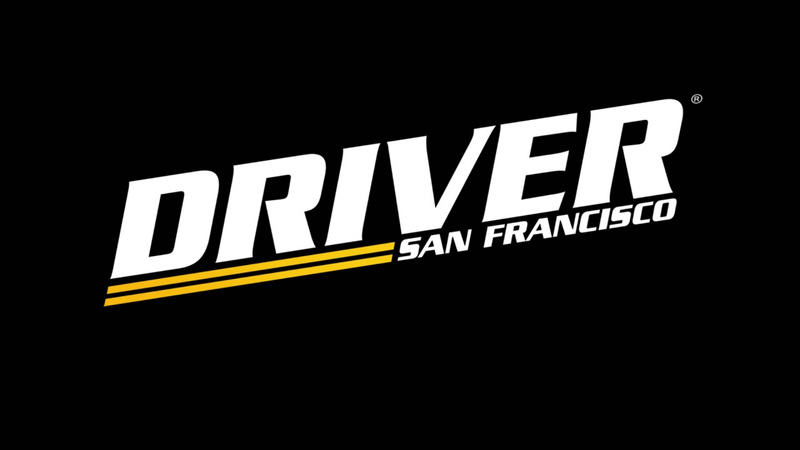 There's actually two versions of Driver: San Francisco: the Xbox 360/PlayStation 3/PC game I'm playing and the Wii version which has an entirely different story despite the fact it has the same name and cover art. In fact the Wii game is a prequel to the first Driver, so basically they were straight up trying to mislead people with it. Hey Ubisoft, here's an idea: if you're releasing a different product DON'T SELL IT IN THE SAME BOX. (Click the pictures to expand them into a glorious 1280x720 resolution). 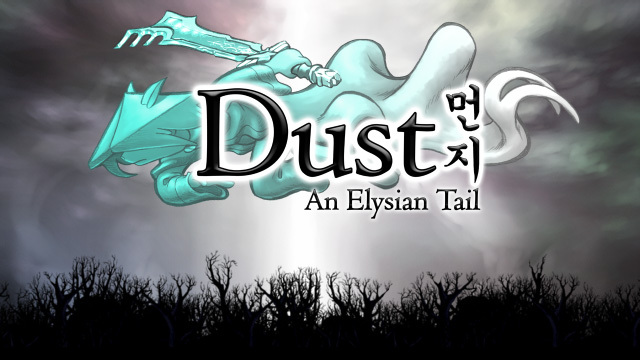 Today the 'D' titles continue with a game request: indie platformer Dust: An Elysian Tail. It comes with a subtitle attached because when you're not id software it can be hard to make a one-syllable common word title show up in search results (especially when games like Dustforce and From Dust are already out on virtual shelves). If you're wondering what the symbols mean by the way, they're Korean and they spell out... 'Dust'. I was as shocked as you are. This was originally an Xbox 360 game, but I'll be playing the PC version as I still haven't found the screenshot key on my 360. I'll get the hang of this game capture thing some day though. Here's a game I've been wanting to play for the site for a while. Today I have the pleasure of being able to show off the first few hours of the controversial Duke Nukem Forever! 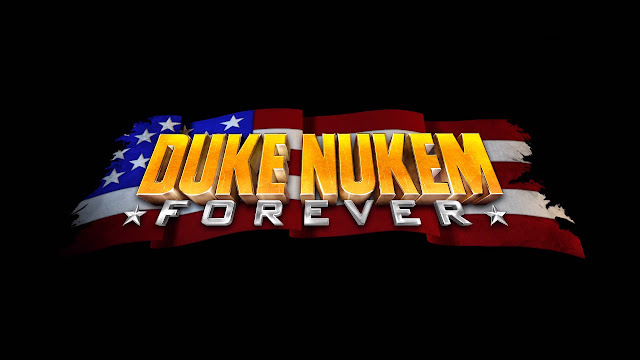 Everyone knows that Duke Nukem Forever was left in the oven a little too long and if you've ever visited http://duke.a-13.net/ you could probably list a fair number of things that have come out while the game's been in development as well (like six Final Fantasy games, the first seven Call of Duty games, every Infinity Engine game, the entirety of the Unreal and Half-Life franchises etc.). But it's hard to visualise exactly just how long FIFTEEN YEARS really is... unless you have a handy chart full of games to compare it to I guess.